How Do You Solve a Problem Like Hassan Whiteside? What seemed like a series made for Hassan Whiteside turned into a disaster. On Whiteside, and what evaluating him can tell us about evaluating big men in general. This was the series for Hassan Whiteside. 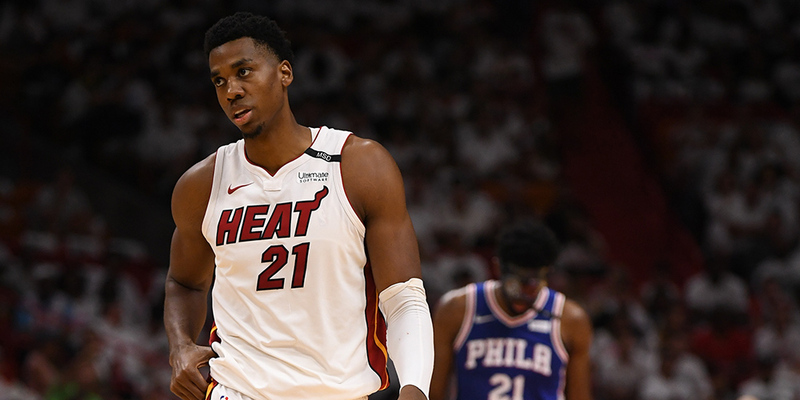 It was an up-and-down regular season, with Whiteside playing just 25 minutes per game and at times venting frustration about how he was being used. But when the Heat were slotted to play the Sixers in the first round, it seemed the perfect chance to prove the worth of a shot blocking and rebounding center. Here he was facing a team that was great on the offensive glass and that finished very well at the rim. Here he was, the necessary antidote to a rim attacking phenom who only blinks when there’s a 7 footer staring him down in the paint and one of the league’s last remaining post behemoths. Oh, and of course there was the Twitter beef. *This* is the series the Heat had in mind when they inked Whiteside to a 4 year, $98 million contract in the summer of 2016. And yet, far from validating Miami’s decision to allot such a large portion of their salary cap to their mercurial mammoth, this series may have been the final piece of evidence needed to prove it a mistake. Whiteside was a non-factor. In physical, high-energy games, he looked out of place, loafing listlessly through possessions, muffing easy passes, losing focus in important moments. Erik Spoelstra didn’t give him a long leash: Spoelstra played Whiteside more than 15 minutes in only one of the five games. Not only did the series fail to prove Whiteside was worth his contract — it may have bought him a plane ticket out of South Beach.